Only a few days have passed since the power cut which left most of Malta without any power and focus has already shifted elsewhere. Most people simply shrugged off Enemalta’s explanation and moved on, even if it never really answered anything. In fact, their statements created even more doubts. When things started to unfold, Office of the Prime Minister spokesman Kurt Farrugia quickly took to Twitter to explain that the power cut was because of "interconnector failure". Turns out it very much wasn't and as much as Enemalta is under the Prime Minister's portfolio, Mr Farrugia shouldn't be taking to Twitter, releasing incorrect information like a needy teenager typing ‘First’ on comment boards and casting doubt on investments in order to score a few cheap points. If the information was correct, then by all means, but "interconnector failures" don't just happen because of storms in Sicily. Without going into the merits of any of the conspiracies being thrown about it is interesting to analyse the aftermath of the power cut. Enemalta keeps insisting that if the interconnector had tripped when the load reached the recent peak of 410MW, Malta would not have had enough electricity generation. However, information about Enemalta's generation capacity is public and a simple plus sum will result in a total of 487MW (120MW from Delimara phase 1, 76MW from phase 2a, 110MW from phase 2b, 144MW from the BWSC and 37MW from the Gas Turbine at Marsa). With the Interconnector, Malta has a total generation capacity of 687MW. This of course would be true if BWSC, now owned by the Chinese, was fully operational. If Enemalta chairman Frederick Azzopardi gave the Chinese the go-ahead to start conversions to gas then not all of the BWSC engines would be operational. This might be the reason why the Interconnector and Delimara Phase 1 were being used on the night. Enemalta also took a long time to give back supply, especially considering that both the BWSC engines and the Enemalta gas turbines only need 15 minutes to start. Since there are five gas turbines, all of which operate on gasoil or diesel fuel, the total capacity of these generating units (189MW) would have more than covered the load which Enemalta reported was being supplied by the interconnector (175MW). In its statement, Enemalta explains that three of the eight BWSC engines were used, which begs the question: what happened to the other five engines? Is this a case of gross mismanagement where Enemalta gave the go-ahead to start conversions, taking out of service five engines? And while we're at it, are these engines going to be converted to run on both liquid (Gasoil) and gas, or did the Chinese choose to convert these only to gas because it is cheaper and they don’t care whether Malta has fuel flexibility in case of emergencies? Why is the government committing itself to such an agreement when Malta has another source of electricity which is cheaper? It's also interesting to note Enemalta's continued use of Delimara Phase 1, the plant which the Prime Minister himself dubbed to be a cancer factory. Yet, Enemalta does have a generating plant that can use the much cleaner Gasoil for operation, the BWSC engines in fact can run on both HFO and Gasoil. There is also the 110MW combined cycle plant as well as the three open cycle gas turbines that run on Gasoil. Furthermore, all of these generating plants offer much more flexibility to Enemalta but of course Gasoil is much more expensive and it seems like certain things are only true before an election. While the government is right saying that a new power station is needed to eliminate the use of HFO, the main point which is not being addressed is the dangers of the 18 year long power purchase agreement (PPA). Why is the government committing itself to such an agreement when Malta has another source of electricity which is cheaper? The PPA will take away any possibility of flexibility when sourcing electricity and in so doing it will go against the best interests of Malta. A simple case in point is that although the cost of electricity from the Electrogas plant was determined way back when the price of both oil and gas was about twice the price today, the reported cost of electricity from the Electrogas plant has not been reduced. With the operational setup the government seems to be planning, the interconnector, which is capable of providing electricity much cheaper than the published cost of the Electrogas plant, will hardly ever be used. 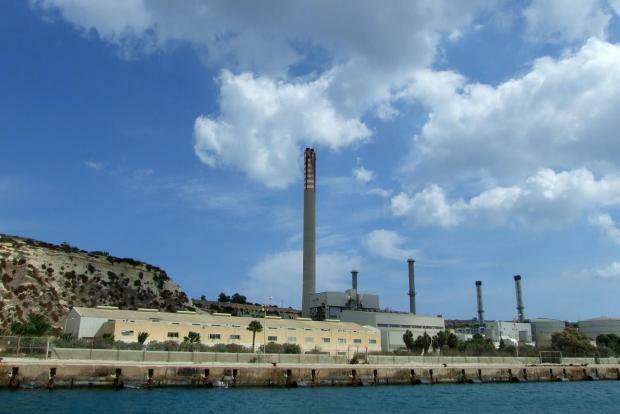 PPAs with Electrogas and the Chinese for the ex-BWSC plant will mean Enemalta will purchase electricity from them at a higher cost and that the interconnector will effectively be relegated to act as the reserve capacity to cover against any failures or faults. This means that a €200 million investment capable of procuring cleaner and cheaper energy will not be used to the benefit of the consumer but to reinforce the operation of a private generating company. So a private investment, covered by a generous PPA for the whole of its economic lifetime and benefiting from a government guarantee is now revealed to have a €200 million interconnector investment relegated to provide reserve capacity in the event the gas turbines of which it is comprised trip or have to be switched off due to bad weather at Marsaxlokk. Something which the government's own risk assessment estimated would take place numerous times every year. It is preposterous we are still calling this a private investment. Not to mention that this plant has been built on Enemalta property at Delimara and relies on the use of Enemalta common services at Delimara power station to operate. It is true that all generating plant is subject to the risk of fault, but as anyone experienced in electrical networks will tell you, an interconnector which is basically a cable, switchgear and transformers is inherently more reliable than turbines or boilers. Furthermore, the source of electricity for the interconnector, which in our case originates from the Italian network, interconnected to the rest of Europe and a multitude of power stations is much more reliable than the supply of LNG, subject as it is to potential shipping delays and bad weather both along the route of the supply tanker and at Marsaxlokk. Finally, the government has recently blown its trumpets about the European Commission approving the new gas power plant. This is simply false. The commission only decided that the "security of supply agreement" did not breach state aid rules and passed no comment let alone approved the agreement. If the government is really proud of the PPA then they should publish the contracts in full, together with the BWSC agreement with the Chinese.